Pets such as dogs and cats give us companionship and are a valuable addition to the family, giving the home an all rounded and aesthetic feel that is appealing to our own sense of being. It can therefore be quite disconcerting to see something happen to our beloved pets, as if often the case with white dogs. In dog breeds such as Brichons Frises and long snout dogs like poodles and cocker spaniels are predisposed to developing tear stains. These are reddish discolorations just below their eyes, around their snouts and even in between their toes. Most of the time, these stains are not serious though they are unsightly and might ruin the aesthetic appeal of your pet. 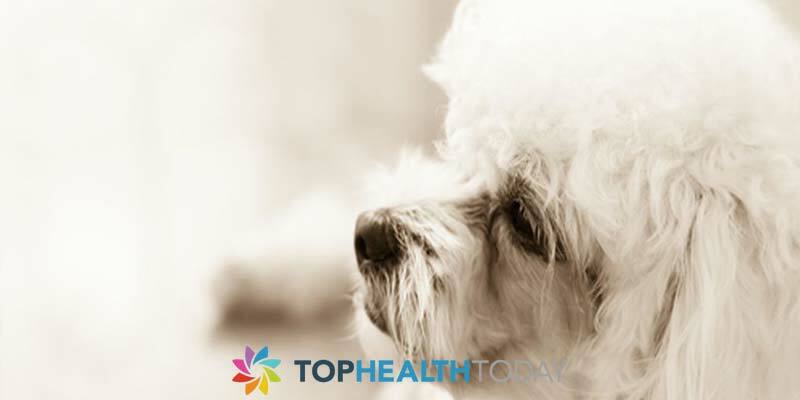 Epiphora is the medical term describing the tear stains that develop under the eyes, on the muzzle and in between the toes of your white dog. These tear stains come about as a result of excessive production of tears, a deficiency in the natural drainage mechanism of tears or a mixture of the two. 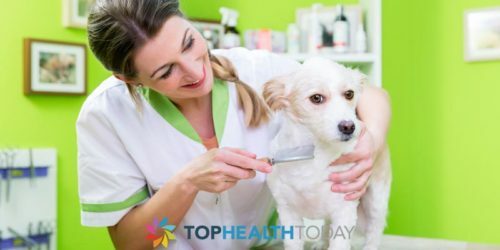 In other cases, it might be the hallmark of a serious disease or infection, which is why a visit to the vet is necessary to know the exact nature of the situation. Epiphora presents in two forms: acute and chronic. Acute cases are usually in response to the sudden introduction of an irritant to your dog’s eyes. Chronic cases of epiphora will lead to constant irritation and frequent moisturizing of the skin under the eyes. This is bad as it will lead to a breeding ground for many microorganisms responsible for causing disease. When your vet declares that the cause of the tear stains is a simple inflammatory process that is not serious, you can then resort to using herbs that will counter the process of inflammation. Such herbs include chamomile which has potent anti-inflammatory properties. Calendula is another herb that you can use to ward off harmful microorganisms (bacteria, fungi and viruses) that can lead to the development of serious infections. 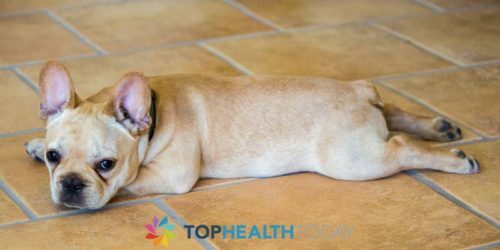 The addition of white vinegar to your dog’s drinking water can help prevent future episodes of epiphora. This is due to the fact that white vinegar alters the pH of the tears that will be forming in your dog’s eyes. The tears with altered pH will prevent the formation of yeast colonies and the formation of a suitable environment for harmful bacteria and viruses. If possible, the addition of Tums which is an antacid will also help in changing pH levels. Other preventive measures for dealing with tear stains on your white dog include cutting the hair around the eyes of your dog with scissors. This will help by removing a possible eye irritant in the form of small hair follicles that may get into the eyes and cause excessive tearing. The use of an ophthalmic ointment on your dog’s eyes just before bath time may also be protective. 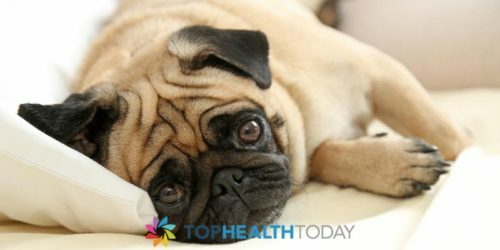 What Causes Tear Stаіnѕ in Dogs? Is Garlic the Natural solution to Fleas?